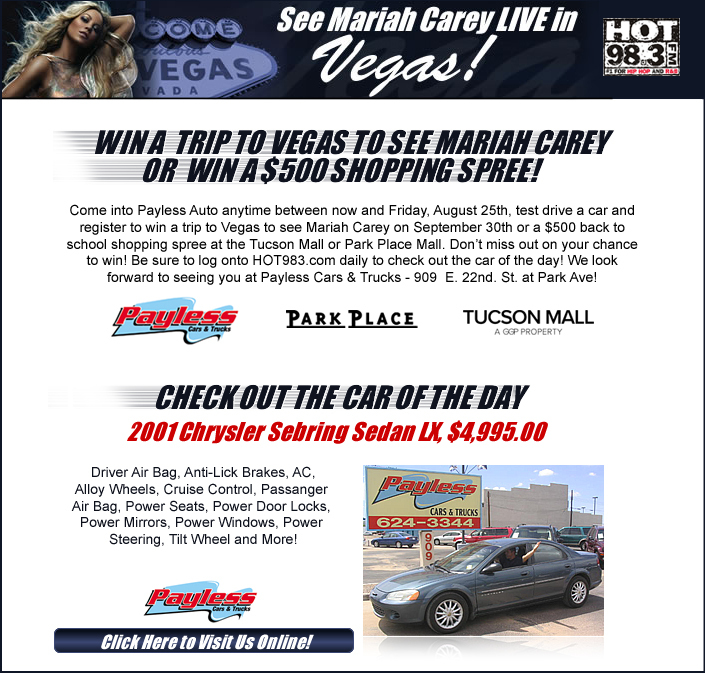 For one of the year’s most successful contests, HOT98.3 partnered with Payless Auto, Park Place Mall and the Tucson Mall to giveaway a trip to see Mariah Carey LIVE in Vegas or win a $500 shopping spree. My goal was to create an engaging landing page while incorporating elements from all of our contest sponsors. The contest was extremely successful, with Payless Auto experiencing a significant increase in the number of test drives for the month.